I thought I had Sonic Youth pegged. Thurston Moore is the melody maker, Kim Gordon brings a seedy punk-rock edge, and Lee Ranaldo produces the experimental explorations. Their powers combined result in the band’s distinctive sound. 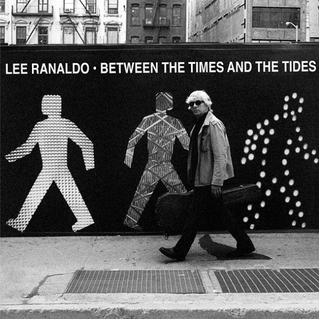 But on Ranaldo’s latest solo album, “Between the Times and Tides,” he has me rethinking everything. Not only is it not experimental, it is closer to traditional pop music than anything found within Sonic Youth’s 25 year catalog of music (yes, twenty-five years!). Ranaldo’s past solo albums primarily consisted of soft, acoustic driven experiments. This time around, Ranaldo uses his Jazzmaster to help escape the uncertainty surrounding Sonic Youth with the recent divorce of Moore and Gordon. And where does he escape to? The sounds of his youth. When I was eight years old, I tried to be a wrestler. For several weeks, my dad took me to the local high school gym to take part in what was known as “Little Guy Wrestling” clinics. I had no prior knowledge of the sport, and really didn’t have much interest in rolling around on a mat with another boy. The only reason I joined was to hang out with a couple of my best friends at the time, Burrell and Moorman. To no avail, I hated it. It was too hot, too frantic, and I was miserable at it. I just didn’t enjoy getting man-(boy? )-handled for two hours when I’d rather be at home playing “Contra.” I finally had to give up on the sport, and as a result, would feel a tinge of guilt whenever around my two friends at school. It would be the first and last time I ever quit something. That is, until black metal came along.